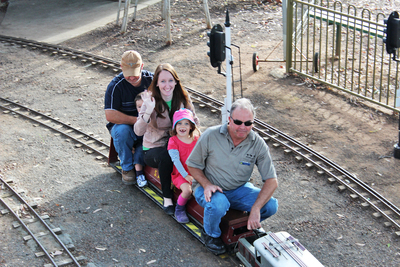 Hidden away behind the actual Noarlunga railway line in Millswood is SASMEE Park- run by the South Australian Society of Model & Experimental Engineers. 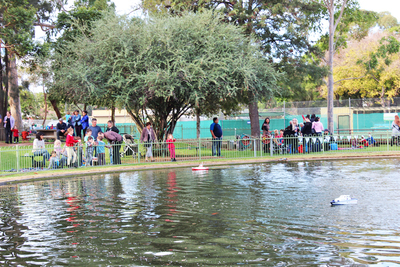 Twice a month the park is opened up to the public, and you can enjoy unlimited rides on a whole range of model trains. 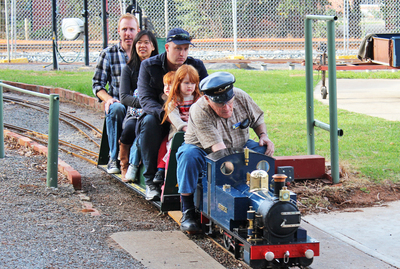 It's great for train enthusiasts and kids of any age. The park is on Millswood Crescent, just behind the Millswood Bowls club. You can park either side of the train line, because there is a crossing on Cromer Place that leads you directly to the trains. It can be a little hard to find if you're not used to the area, so check out the information on the SASMEE park website. 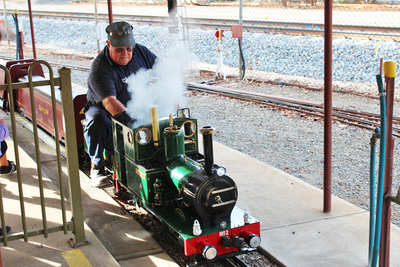 Entry is $5 for adults and $3 for kids, and once inside you can have unlimited rides on any of the trains. There are many different trains, including old fashioned steam trains and more modern electric trains. It's really quite cool watching the operators shovelling coal into the mini engines. 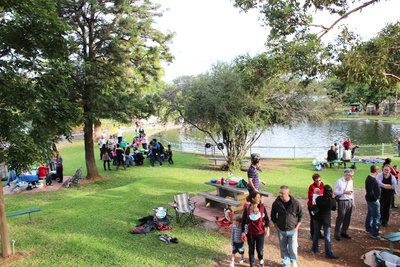 The park also has a large lake in the centre where you can watch the model boats, and large grassed areas where you can grab a table or set up a picnic on the grass. There is a canteen on site, but you can bring your own food along too. It's a great birthday party location if you're son or daughter are into trains, but just make sure you've got enough adults on hand. Kids need to be accompanied on the trains, and there is a limit of four kids to every adult. You'll also need to make sure everyone's wearing appropriate footwear, because they take safety very seriously. For more information on what's on offer check out the SASMEE Park website. Keep in mind that opening days are dependent on weather, and the park may be closed in very hot or stormy weather. Have you been to the park before? Let us know what you think.